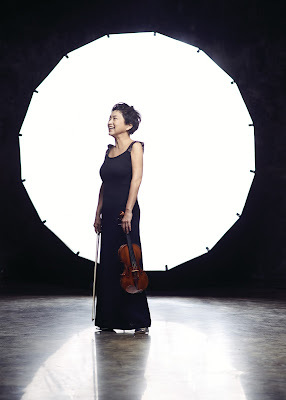 When injury forced the violinist Kyung Wha Chung to retire from performing in 2005 it seemed like the end of her performing career, one which had started over 40 years earlier when she made her concert debut aged nine. But she was able to return to the concert platform in 2010 and has been performing regularly since then. Having recorded Bach's six solo violin sonatas and partitas for Warner Classics, she is currently coming to the end of a tour performing all six in each concert, something a violinist half her age (she recently turned 69) might think twice about. She will perform all six at St George's Bristol (6 May 2017) and the Barbican Centre (10 May 2017), finishing the tour at Carnegie Hall, New York (18 May 2017). I was able to meet up with her on her recent visit to London to find out more. 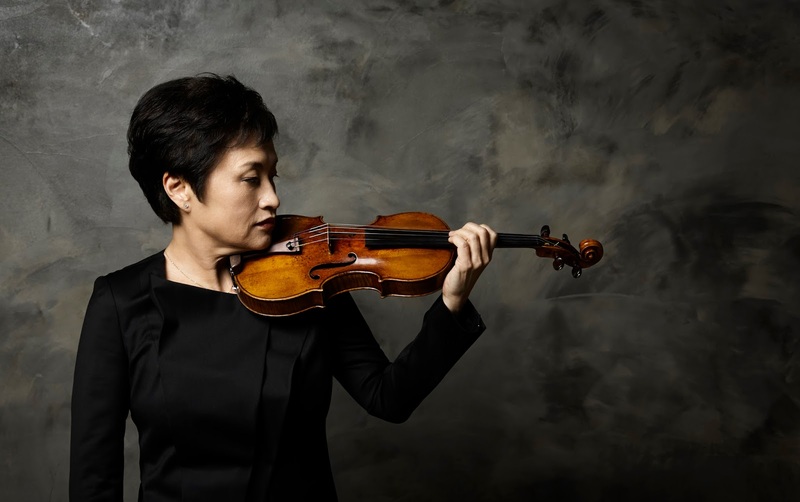 Bach's solo violin sonatas and partitas have been with Kyung Wha Chung for 55 years, she first encountered them in 1961 when she played all six at the Juilliard School where she studied with Ivan Galamian. Galamian's name cropped up repeatedly in our conversation, Kyung Wha Chung clearly loves and reveres him and talks about his formidable training system. 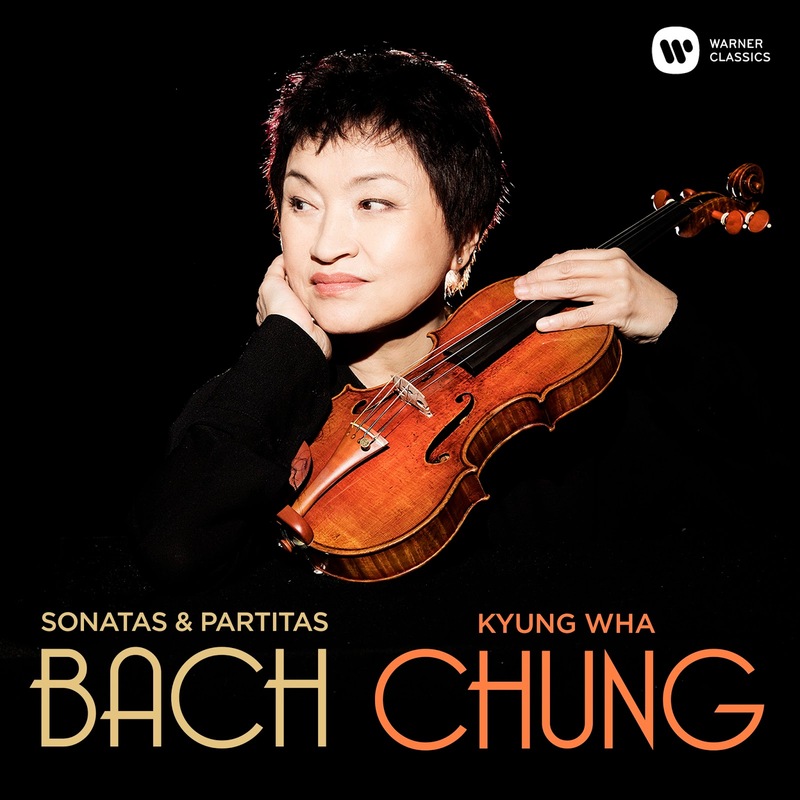 Since that first encounter with Bach's sonatas and partitas she feels it has been a tremendous journey, Bach being with her as a violinist and performer, and later teacher. She tried to record them complete with Decca in 1973, laying down Partita No. 2 in D minor and Sonata No. 3 in C major before deciding she needed to wait until later. But it seemed as if there was to be no later, and when she retired due to injury she regretted not having recorded the complete set, feeling it a great loss. After retiring, she taught at the Juilliard School, making a point of teaching Bach's sonatas and partitas. She spent five years going through the music without an instrument, all in her head as she couldn't play a note. In fact, she forced herself to go through the pieces on the piano, and was amazed how easy it was to form the chords. The year when she was finally able to perform all six after recovering from her injury, she describes as the happiest time of her life, though even now her finger is not in the shape she would like. Playing all six sonatas and partitas together is a significant feat, though when I ask if it requires extra energy she comments that it does not matter whether the music lasts three hours or 30 minutes, what matters is having a system in your head so that you can manage your stamina. She adds, though, that she has never done anything quite like playing the Bach in one go, though she has played all the Mozart sonatas (in three groups) and all the Beethoven. But performing the complete Brahms sonatas has eluded her, the requisite partnership just never worked out. She has three projects in the pipeline, after the disc of Bach's sonatas and partitas (which came out in October 2016), there is a disc with pianist Kevin Kenner and a concerto disc. But at the moment she is concentrating on the Bach, and nothing new will be announced until after the end of her tour, with the Carnegie Hall concert on 18 May 2017 (a concert which, incidentally, celebrates her winning the Leventritt Competition at the Carnegie Hall 50 years ago). This will be her 20th performance of the Bach programme, a run which started in Beijing. There is much else that she would like to do, duo recitals and concertos, but she feels she has to be practical and realistic and concentrate on one project at a time. 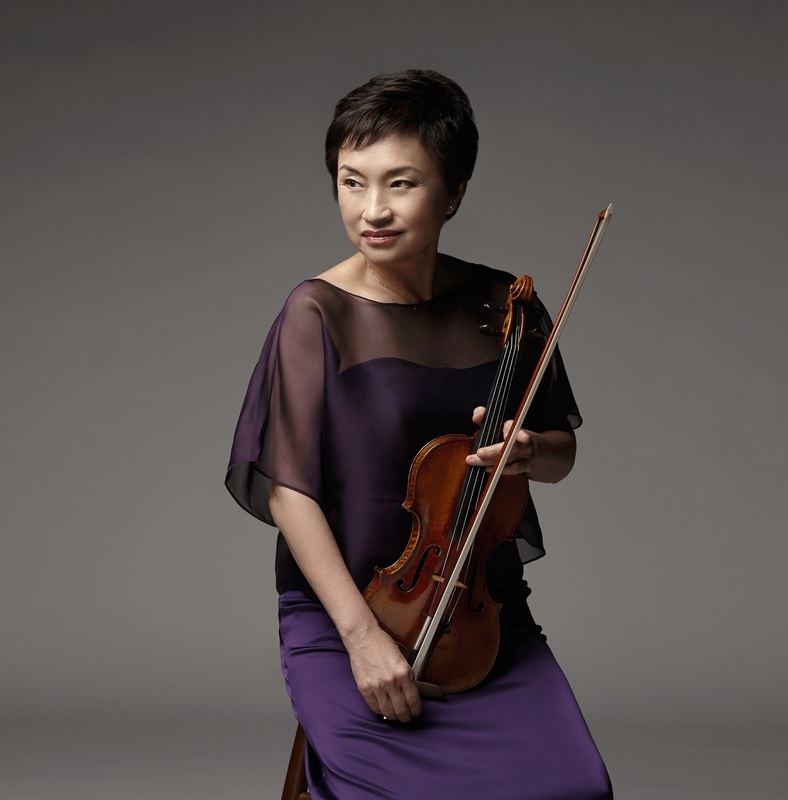 She does not play Bach's sonatas and partitas in baroque style, but feels that during the last five years she has connected the modern world to Bach. She points out that Bach never imagined someone playing the complete set of pieces in one go to an audience of over 2000 in such a large acoustic. When preparing the Bach in her studio in Korea the acoustic was very dry and she as aware she needed to go the other way and be ready for a big acoustic. That at St George's Bristol, where she recorded the Bach, was still relatively dry so some extra reverberation was added to the final recording. For Chung every performance is a unique moment, and her concept of the pieces changes each performance and even speeds can be different. But each acoustic and each audience is different and she sees the need to use the hall's acoustic to bring the music to each audience member. For her this is the obligation and commitment of the performer, and she cannot apply the same concept to every stage; each one is different. She must respond to that particular audience, hall size and acoustic. She never repeats herself and if she gives three concerts in the same venue then each is different, here she smiles, and the third is usually the best. Her concept of Bach's sonatas and partitas has changed over the years, she has worked through the articulation, harmonies and minutest details to make them meaningful for herself. She talks of the violin having a certain range of sound, and how every layer of sound has gone through an evolution to become part of her voice. The work challenges your technique, as each performer needs to work out how to voice the music, which line is most important. In her 20s she worked on Bach's sonatas and partitas with Joseph Sizgeti who told her that she had to hold all the notes of a chord in her left hand. This was a revelation to her, but Szigeti had large hands, which enabled him to hold chords with relative ease on a full size violin. 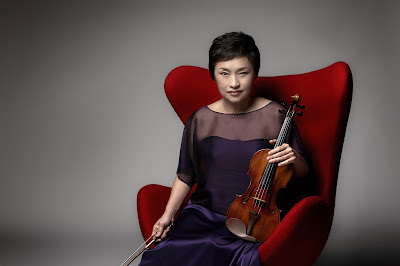 At the beginning of her career, Chung played on a 1693 Stradivarius violin (the 'Harrison'), after which she acquired two instruments by Giuseppe Guarneri '˜del GesÃ' - the 'Kubelik' from 1735 and the 'Rode' of 1734 - performing on the two violins for over four decades. Chung has now gone back to a Strad: the 'King Maximilian Joseph' of 1702-1703, which is one of the smallest he ever made. She had no idea the instrument existed, and starting to use it last year became a thrilling process of discovery. Though Chung's Bach chapter will close in May with the Carnegie Hall recital, she will continue to play Bach's sonatas and partitas, but not all six in the same concert. She comments that Bach seems to have written the sonatas and partitas in the space of a couple of years, and she sees him as being a wonderful violinist; a genius beyond measure, whose music is being glorified more than ever. Our conversation moves on from Bach's commitment as a music maker and creator to imagining Bach in the modern world, and Chung's eyes light up. Her ordering of the pieces has changed over the years. Inspired by Bach's devout Lutheranism she has arranged them into a triptych with three panels, G minor and B minor, A minor & D minor, C major & E major. She likes the idea that the triptych starts with a chord of G, the fundamental note of the violin. With intervals between each panel, the programme lasts around 3.5 hours, a long time to stand. For the recording she did every repeat, but omits some in performance, though she thought about doing them all. She feels that for the classic violinists of the 20th century, the repeats were played exactly the same as the first time (except for Casals in the cello suites). She sees a spiritual connection in the works, and believes in the need for freedom of expression, that the performance should not stay still. For her, performing is one of the most challenging professions with the need on stage to touch the listeners' deepest centre with the delivery of the music of the composer, and this needs a strength in the gut. During her five years of retirement she does not seem to have missed performing, commenting that she did so much as a youngster performing with great musicians in great venues. Her recording debut started by chance. At the age of 22; she substituted for Itzhak Perlman in a concert with the London Symphony Orchestra and this led to a contract with Decca who she talks about as raising her. Having previously been focused entirely on playing the violin, in her 30s she came face to face with the reality of world, coping with travel and the painful process of bringing her vision of the music to other musicians. In her late 50s, having had two children, she thought about stopping and concentrating on her charity work and teaching at the Juilliard. She talked with enthusiasm about her trips to Africa, taking her violin with her (though not, she hastens to add, the Guarneri) and playing to people who had probably never heard a violin before, playing Bach and sharing their music. She calls it a thrilling experience, and she thought that this what she was going to do. But with her recovering from injury and the start of the Bach project, something which had been sitting in her stomach for 50 years, she returned to her first love, recording. She has never handled her musical gift lightly, and treats every performance as if it was the last, and came to the realisation that performance is charity, and for Chung performing is intimately bound up with her spiritual side and with her Christian faith. With so much performing, I wondered whether she had difficulty keeping pieces fresh but she exclaims that she has never understood the word. In her 20s she was asked about this having played 20 performances of the Tchaikovsky Violin Concerto in a season, and her response was a sigh; not a sign of her boredom, but expressive of the fact that there was so much in the music that even 20 performances were not enough to explore it all. Despite her somewhat formidable reputation, when I met Kyung Wha Chung she proved to be a charming, lively interviewee, even pouring out my tea whilst I continued to take notes. Not every musician can articulate what they do, but we talked for an hour, and it was clear that a great deal of thought went into her performances. Her faith is important to her, and is intimately bound up in her performance. Her teacher Ivan Galamian was also important, and it was Galamian's teaching which provided the fundamental on which to re-build after her breakdown in her 30s, his rigorous methods forming the basis enabling her to stand again. In the context of a story about her angry reaction to a distinguished violinist being dismissive of Galamian's teaching, she adds that she made a vow not to turn into 'a nasty old woman'. She comments that charity and compassion is difficult as a younger player as each performance on stage is a form of audition, you need to be unforgettable because you want to be asked back. Though she adds that such performances gave her tremendous satisfaction. She is often asked advice about careers for young violinists, but this did not apply in her day, it was only child prodigies who were considered to have careers. She also feels that it is important for a young violinist not to consider a career as such, but to think about what they want out of life, how they want to connect to the world. When teaching she thinks about how to make young violinist feel fulfilled, to consider what they think their own voice is and give them a chance to express it. For Chung, a career is the last thing to think about, what counts is the violinist producing their own voice. And it is hard work, she talks about the need to kill yourself with hard work so that you can achieve what you hear in your ears. She only ever met one person who seemed to achieve effortless perfection, the conductor Carlos Kleiber, but it seemed to her that he had a miserable life, constantly reaching out for his dream. For Chung it is important that a performer acknowledges that they are human, they have two different sides. She does not see technical perfection as either important or possible, what matters for her is the connection with the audience. Now she is in her late 60s she has resolved to be nicer to herself. She is resolved to continue performing as long as she is able, that is her gift. She has no choice, it is simply what she is. But here a glint comes into her eyes, as she adds that whose knows what will happen if her children give her grandchildren! Carnegie Hall, New York (18 May 2017).